$POR(Unregistered – GST Incl) through Designer Boats Australia’s Dunbier Agency. 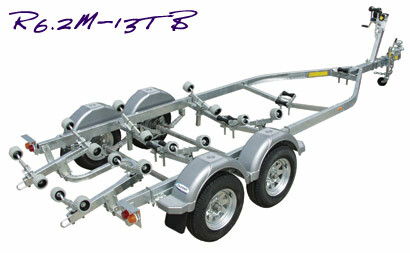 DBA recommends this trailer for the Rainbow Runner, as it has a keel running up the center of the boat and all the loads/weight is transferred through the keel into the rollers. If you would like the trailer already registered for when you pick it up, we can arrange this. The price of registration and associated fee’s vary for each state and we are more than happy to supply a quote. This Trailer can be picked up with your flat-pack or separately from the Dunbiers Deport. Please be advised that we have been talking to Dunbier about supply time, but in busy times the delivery time from them can be up to 5 weeks.